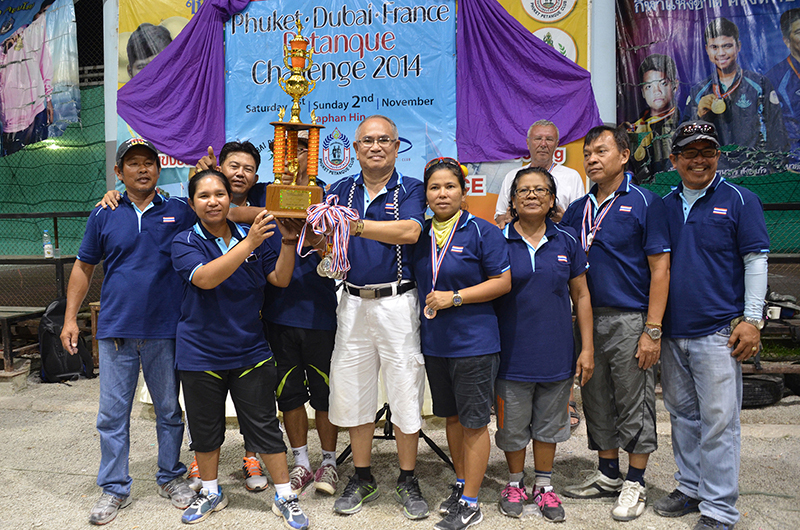 Phuket emerged as clear winners of the Phuket-Dubai-France Petanque Challenge at Saphan Hin at the weekend, winning 52 of its games. 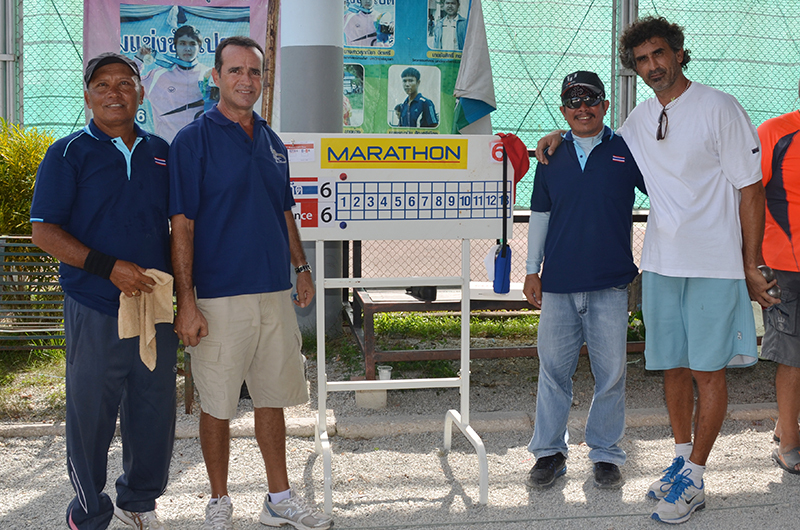 Six pairs from each team played 12 opponents, six from each side, for a total of 108 matches over the two days. 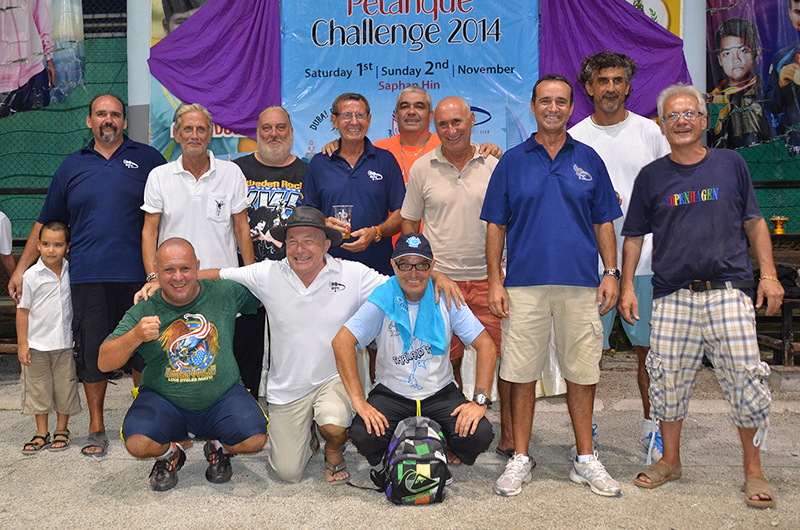 France came second, winning 32 games, and Dubai came third, with 24 victories. 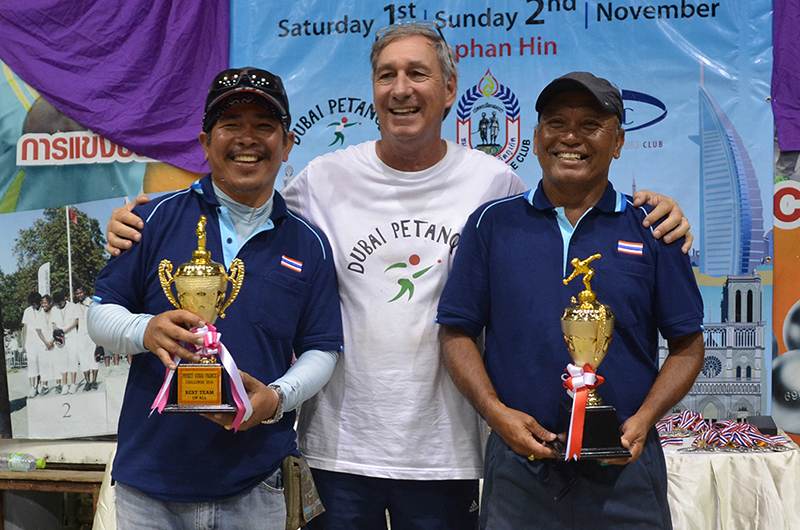 The tourney was an expanded version of last year’s Phuket-Dubai Grand Slam, which the home team also won convincingly 48-20. Dubai largely failed to contend with skilled opponents from both camps, firmly ending up with the wooden spoon in the new-format three-way event. 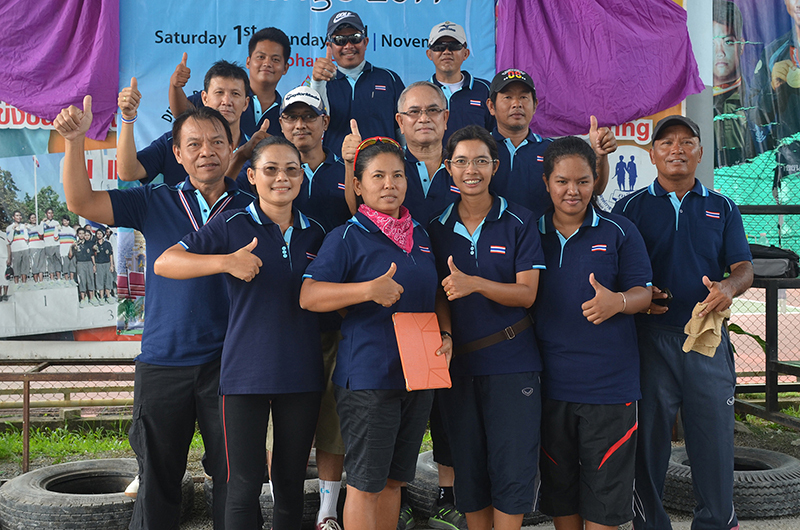 Phuket top pairing of Thanyawath Inglub and Thumrong Khumphet won all 12 of their games to take the title, beating each of their adversaries by an average score of 13-5. Day One came to a nail-biting close, drawing a big crowd, as Nittra Phateard’s pairing turned the screw on Dubai star Karim Kahla’s doubles unit. The Tunisian marksman’s normally unerring shooting went awry, and the ladies won the match by a convincing 13-8 margin. 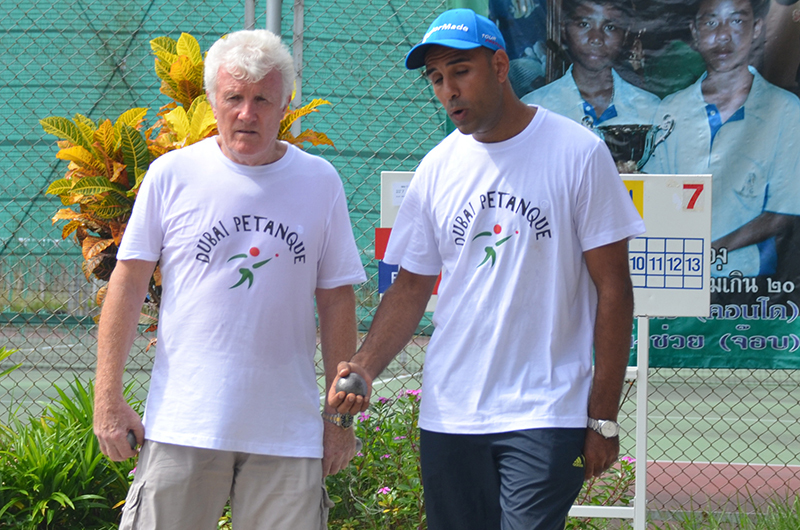 But the real spectacle was the Day Two battle between Inglub and Khumphet against the eventual French runners-up, Manu Pintu and Laurent Roberta, who won 11 of their games, in a tussle that went down to the wire to leave a packed house riveted. 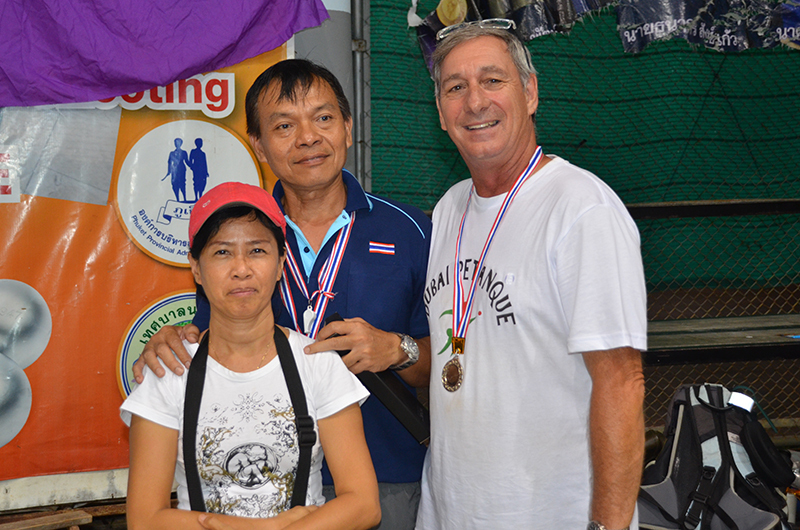 Phuket also took third place, with pair Wanlee Singtonyam and club captain Lung Tormor going 10 out of 12. 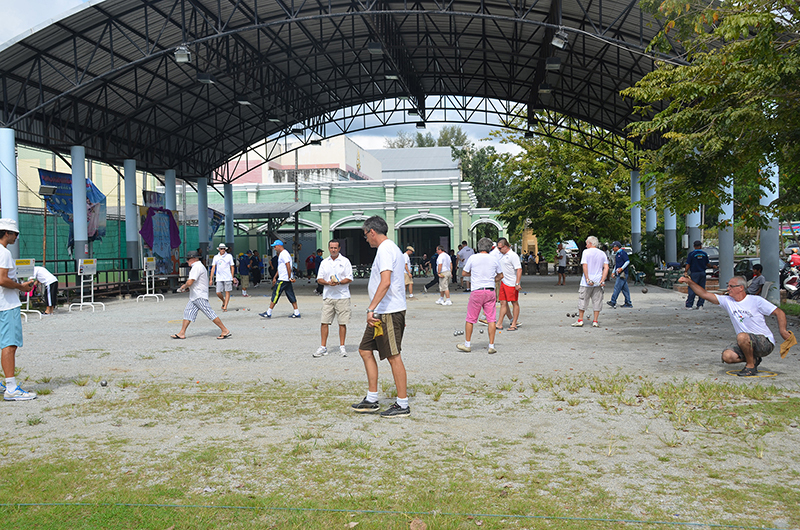 Based on the same principles as lawn bowling and curling, the game of petanque involves throwing the ball through the air rather than along the ground, to land as close to a wooden jack as possible. 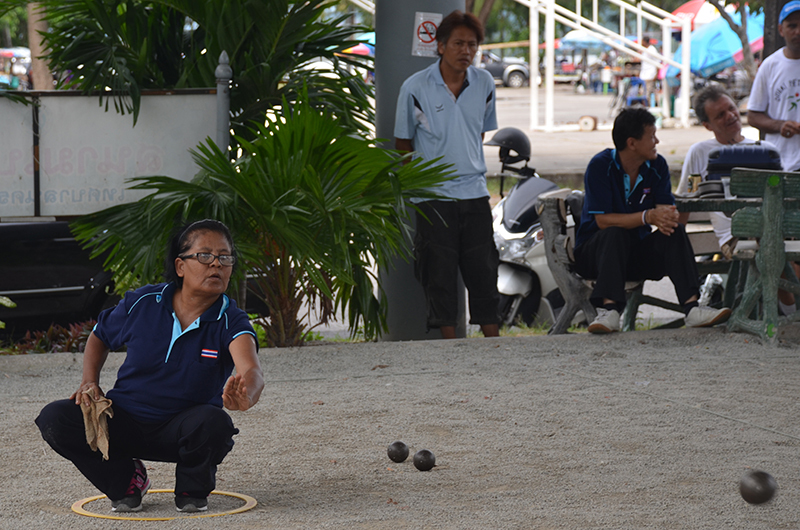 Pointers try to establish accurately placed balls close to the jack, while shooting is an attempt to displace well positioned opponents‘ balls, using the metal boules with which the game is played thrown at high velocity. 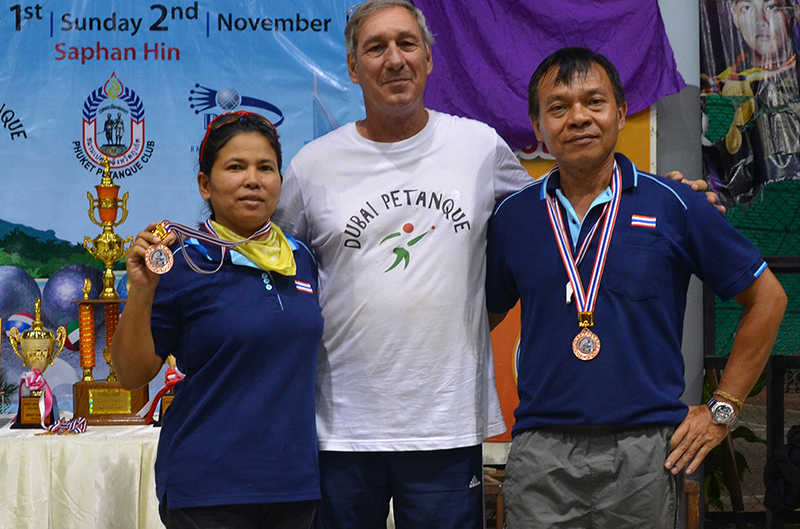 The Saphan Hin stadium is one of the most active clubs in Phuket, although Rawai Petanque Club, home of the French team, is also an active base for the game in Thailand. 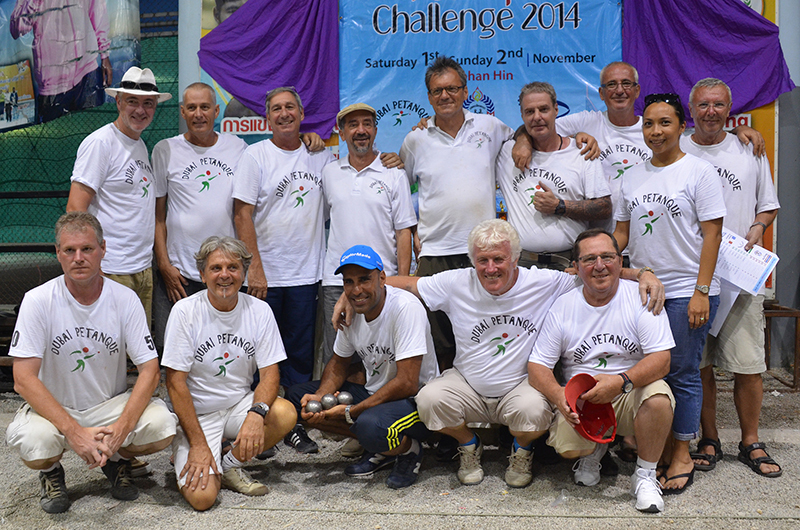 “We had more victories than last year, but the Phuket club still won,” said Marc Molatte, president, Dubai Petanque. Phuket could even make the return trip to Dubai in future, club officials said. Here you will find a nice picture gallery of Sukjai Eschbach.